In December, Will Smith threatened to throw his hat in the political ring after listening to the current batch of presidential hopefuls. During an interview with TODAY's Willie Geist Tuesday, Smith set the record straight about his political ambitions — which, as it turns out, he doesn't really have. "I was joking when I made that comment," the actor said with a laugh. 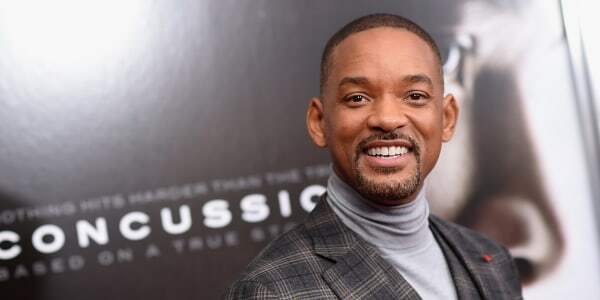 At the time, Smith had recently finished filming "Concussion," in which he plays Nigerian-born forensic pathologist Dr. Bennet Omalu, and his presidential joke was just his way of venting in response to buzz about banning Muslims from entering in the U.S. made by Donald Trump. "As an actor, what happens when you take on a role, you actually begin to wear the qualities of the person," he explained. "And while I was wearing Doctor Omalu for this last year, I realize how good it feels. So when I hear anti-American sentiments ... I'm personally offended." Still Geist couldn't resist asking if that means we won't see Smith challenging "President Trump in 2020?" "There ain't gonna be no President Trump in 2020," Smith shot back. There will, however, be a chance for fans to see Smith in the role of Omalu this year. "Concussion" is currently open in theaters nationwide, and it puts a spotlight on brain damage professional football players have suffered following repeated concussions — and Omalu's battle to get that information out. "It's a very inconvenient truth," Smith said. "Some of the greatest times I've had with my son were around him playing football." From "Fresh Prince" to box-office king, a look at the actor/rapper's two decades in the spotlight. In fact, his 23-year-old son, Trey, played football in high school. But knowing what he knows now, after filming "Concussion," would Smith have allowed that? "You know, that's very difficult question, [one] that I think his mother is much better suited to make the decision," Smith said. However, "Concussion" writer and director Peter Landesman, who was also on hand to chat with Geist, had an clear answer of his own. "My kids' mother will not be making that decision," he said, sharing a laugh with Smith. "Um, knowing now what I know, to me it's very simple. You know, there's no way I'd ever let my child put on the pads."